EghtesadOnline: The humanoid robot team from Amirkabir University of Technology defeated the German team and won the third place in Humanoid Teen-Size Robot League of RoboCup 2017 in Japan. 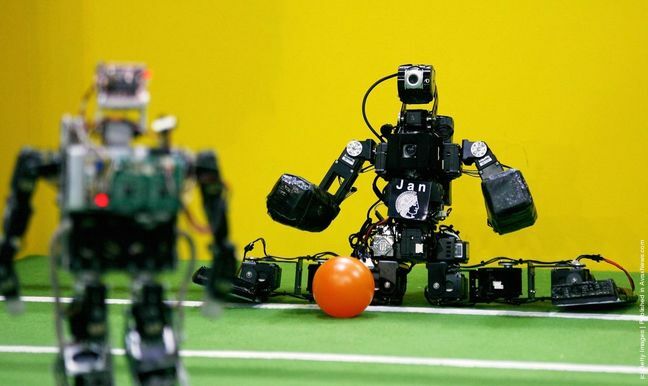 “Iranian humanoid robot team from Amirkabir University of Technology went against rivals from Germany, China, India, Japan and Taiwan in technical competitions in Humanoid Teen-Size Robot League of RoboCup 2017 and won the third place,” the leader of Amirkabir University of Technology’s RoboCup teams Soroush Sadeq Nezhad said. “The team also won the third place in the standings match of the competitions.” ISNA quoted him as saying. The 21st edition of RoboCup 2017 kicked off in the Japanese city of Nagoya on July 27. More than 200 teams from universities, schools and various institutes from 45 countries in the world have participated in this year’s edition.